ANNOUNCING: FCT'S NEWEST LACROSSE EVENT! Join us in St. Joe, Michigan for the first annual Summer Showdown Lacrosse tournament. ELITE: Top-flight division. This division is made up mostly of elite and all-star teams. The Elite division is the toughest in the competition. SELECT: Intermediate division. This division is made up mostly of regional, select school or club teams. 1525 W. ROCKEY WEED RD. 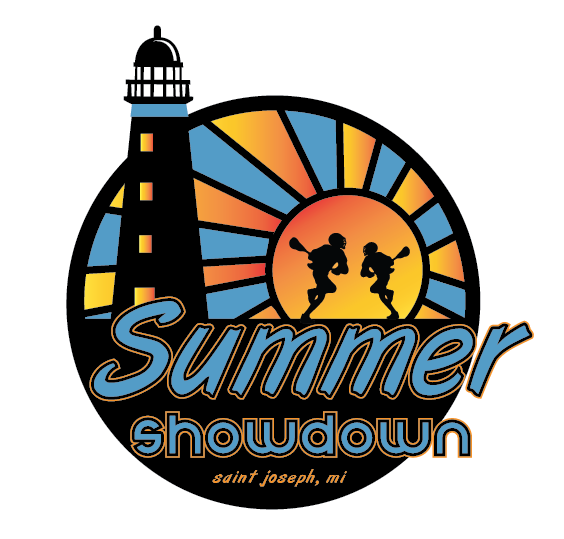 The Summer Showdown fields are located only 10 minutes away from beautiful downtown St. Joseph and Lake Michigan! Saint Joseph, Michigan- known as the 'Riviera of the Midwest' sits along the shores of Lake Michigan. The quaint town of St. Joe is boasting with many attractions. From the adorable downtown shopping and dining to the beautiful parks and beaches. One of the most prized resort towns right in Southwestern Michigan, St. Joe is a sight to see! Come play with us and stay in St. Joe. Please note the processing fee for all on-line payments. If you would like to avoid this fee, please mail a check payment.